Personalised maths tuition for your child. Maths can be scary but it does not have to be. 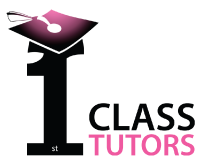 At 1st Class we offer personalised maths tuition for pupils of all ages up to and including GCSE. Problem area such as decimals or fractions can be worked on at a pace to suit the individual. Progress is carefully monitored and feedback and assessment is given throughout. Whether it is at primary school and through Key Stage 3 and beyond or GCSE we can design a learning plan to suit the individual pupil and help them achieve their personal goal. All our tutors are qualified to PGCE level and are DBS (CITB) checked with references. Method of payment to be negotiated with tutor. Place for tuition: student’s home or tutor’s home.